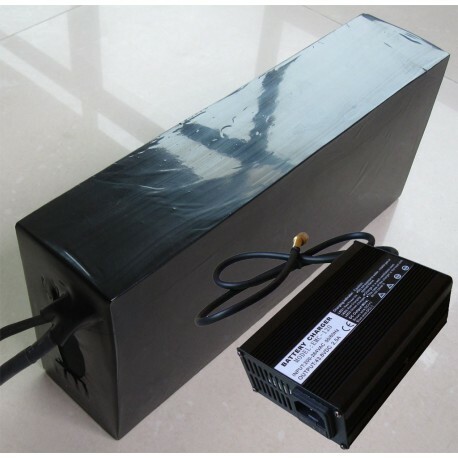 36V15Ah Li-Ion NiCoMn shrink tube electric bicycle battery pack. Included 10s polymer cells, 1pcs 20A continuous discharge current smart BMS, 1pcs 36V4Amps S120 Lithium Ion battery Alloy shell charger. 1. 1Pcs 36V 15Ah Li-Ion NiCoMn shrink tube electric bicycle battery pack. Included 10s polymer cells, 1pcs 20A continuous discharge current smart BMS. 2. 1Pcs S120 36V4Amps Lithium Ion battery Alloy shell charger. 1. AC Input Voltage: 90V~264V or 90Volts~132Volts or 200Volts~264Volts.